Vienna. Home to schnitzel, Freud, Mozart, the Hapsburgs, opera, art, coffeeshops, and so much more. Over the decade I have been coming in and out of this city, I’ve watched it change from a stiff capital city to a cool, hip, foodie, and arty paradise. But, over time, I’ve come to appreciate the city and all it has to offer. In short, I was wrong about Vienna (and that goes to the important point that first impressions are not always correct). 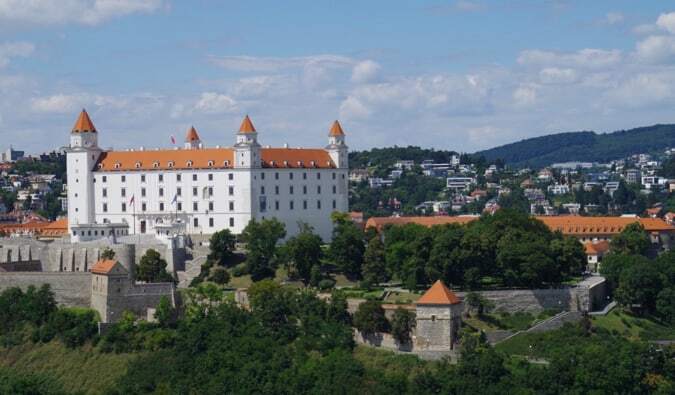 The city has countless museums, palaces, markets, restaurants, quirky art exhibits, delicious food halls, neighbors a wonderful wine region, and is a quick train trip to Bratislava. Just make sure to tip your guide! 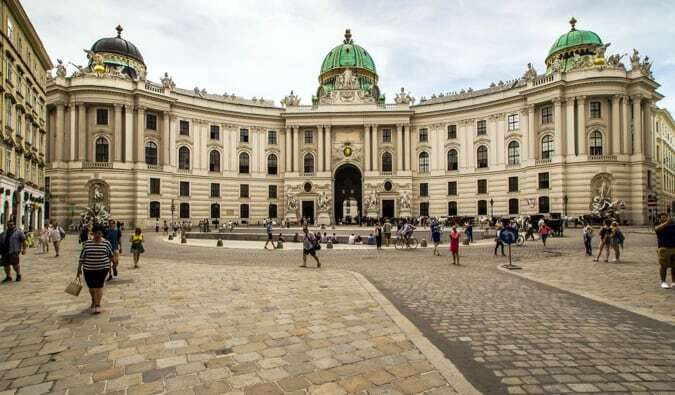 (Michaelerkuppel, +43 15337570, www.hofburg-wien.at) – Built in the 13th century, this is a giant complex with multiple attractions. You can easily spend half a day here. First, there are the Imperial Apartments, which is really three activities in one: the silver collection featuring thousands of royal dinnerware, the Sisi exhibit highlighting the life of the beloved Empress Elisabeth of Austria, and the actually royal apartments themselves. Additionally, you can also check out the butterfly museum and the National Library where you can see the ornate baroque style State Hall with its tens of thousands of books. However, my favorite is the Imperial Treasury. You’ll find tons of royal artifacts, crowns, scepters, and a really detailed history of the Hapsburg family and empire. And, though not free, you should definitely get the audio tour. It adds a ton of context to the exhibits. Honestly, if you just see this attraction, you’d learn enough! Opening hours: Daily (9am-5:30pm) from September to June, and 9am-6pm in July and August. Admission is 14 EUR for adults and 8.20 EUR for kids. Just be sure to avoid the weekends if you can, as it gets crowded. (1060 Vienna, +43 1400005430, www.naschmarkt-vienna.com) – This is Vienna’s largest open-air food market. It’s been operating for hundreds of years and has a variety of restaurants, street stalls, and grocers. It’s a little touristy (don’t go food shopping here) but it has a cool vibe and, on a warm sunny day, it’s nice to sit out with a meal and a glass of wine. Despite its fame, you’ll still find a lot of locals here. Be sure to hit up Umarfisch for seafood and wine. Opening hours: Monday-Friday (9am-7:30pm), Saturday (9am-5pm). Restaurants and cafes are open later. (Museumsplatz 1, +43 15235881, www.mqw.at) – Once the imperial stables, the Museumsquartier is now home to three different museums: the Leopold Museum for Art Noveau and Experessionism; Kunsthalle Wien, an exhibition center with rotating exhibitions; and the Museum of Modern Art, which has the largest collection of modern art in central Europe. The Museumsquartier is also home to a number of festivals throughout the year. Basically, if you love modern art, you need to come here! 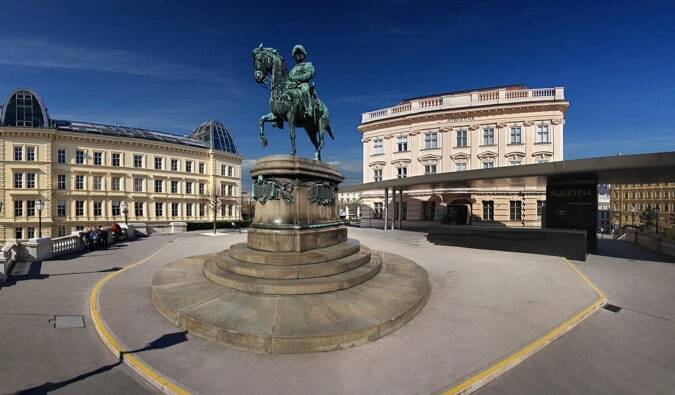 (Maria-Theresien-Platz, +43 1525240, www.khm.at) – This is the largest art museum in the country, with artifacts from ancient Egypt and Greece and paintings from Raphael, Rembrandt, Pieter Brueghel the Elder, and more. Most of the items are from the Hapsburg’s old collection. This museum is more “classic art” and there’s enough to keep you busy for a few hours (at the very least). Opening hours: Daily (10am-6pm; 10am-9pm on Thursdays) from June to August. Tuesday-Sunday (10am-6pm) and Thursday (10am-9pm) from September to May. Admission is 15 EUR. (Stephansplatz 3, www.stephanskirche.at) – Built in Romanesque and Gothic styles, this cathedral has been standing since the 12th century. Inside, you’ll find an ornately decorated church with high archways, vaulted ceilings, and a plethora of statues and religious paintings. Additionally, there are two beautiful altars: the High Altar, built in the 1640s and the Wiener Neustadt Altar, commissioned in 1447. The cathedral also has two towers, though one was never finished because they ran out of money. You can pay 5 EUR to climb the several hundred steps of the south tower or, if climbing isn’t your thing, you can pay 6 EUR to explore the catacombs below the cathedral. Opening hours: Monday-Saturday (6am-10pm), Sunday (7am-10pm). If you haven’t done so already, take a walk along the Danube. There are plenty of bars, stores, and cafes along the water so you can grab a drink and chill or just window shop if you don’t feel like stopping. 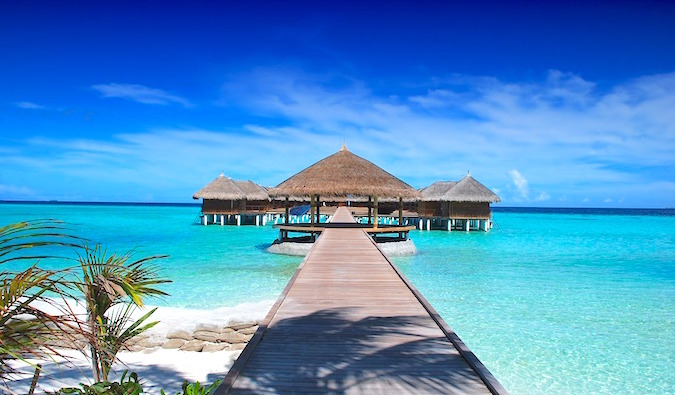 In the summer, there are also a few small “beaches” where you can relax and soak up some sun and relax on a nice day. (Seilerstätte 30, +43 15134850, www.hausdermusik.com) – This is a small but fascinating museum featuring exhibits on some of the world’s most well-known Austrian composers — Mozart, Schubert, Strauss, and Schoenberg. You can view manuscripts, artifacts, and there’s also a virtual stage where you can conduct your own symphony. Opening hours: Daily (10am-10pm). Admission is 13 EUR. (Schönbrunner Schloßstraße 47, +43 1 81113239, www.schoenbrunn.at) – This palace started off as a hunting lodge in 1696 before becoming the summer residence of the Hapsburgs (because at the time this was far outside the city center). There are over 1,400 rooms in the palace but only a handful are open to the public (you’ll see 22 rooms with the imperial tour and 40 rooms with the grand tour). However, there’s enough to spend a few hours here wandering the exquisitely restored rooms. The gardens are free (you’ll see a lot of locals running here) and there’s also a neat maze as well as the “Schonbrunn Tiergarten” (the Vienna Zoo), which is a great place to take the kids. I love coming to the gardens, climbing up the hill, and enjoying a bottle of wine with friends. You can see the city off in the distance. There are also guided tours for those particularly interested in the history of the palace. Opening hours: Daily (8am-5:30pm) from April-June and September-November; 8am-6:30pm from July 1-August 31; 8am-5pm from November 5-March 31. 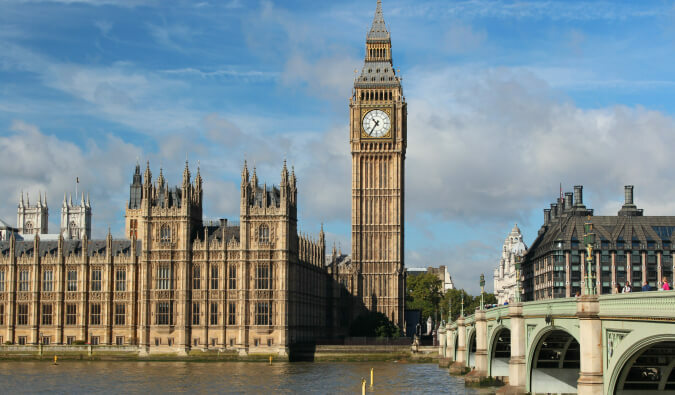 The Imperial Tour is 14.20 EUR and takes 30-40 minutes, the Grand Tour is 17.50 and takes approximately 1 hour, the Classic Pass is 24 EUR and takes 3-4 hours, and the Sisi Ticket is 29.90 EUR and lasts an entire day. There is also an audio guide available in 21 different languages free of charge. (Opernring 2, +43 1 514 44/2250, www.wiener-staatsoper.at) – Vienna is pretty much synonymous with opera. This opera house is one of the largest and most famous in the world and opera is a major focal point of Viennese life. For 9 EUR, you can take a 40-minute behind-the-scenes tour of the facility. To see a show, I recommend buying last minute standing room tickets for around 10 EUR (often less) the day of a show, usually around 60-80 minutes before it starts (you can line up earlier than that, but they don’t start selling until right before the show). It’s first come, first serve and you can only buy 1 ticket per person. Opening hours: Varies daily for guided tours and for performances. (Prinz-Eugen-Strasse 27, +43 1 795570, www.belvedere.at) – This is one of my favorite places in the city. 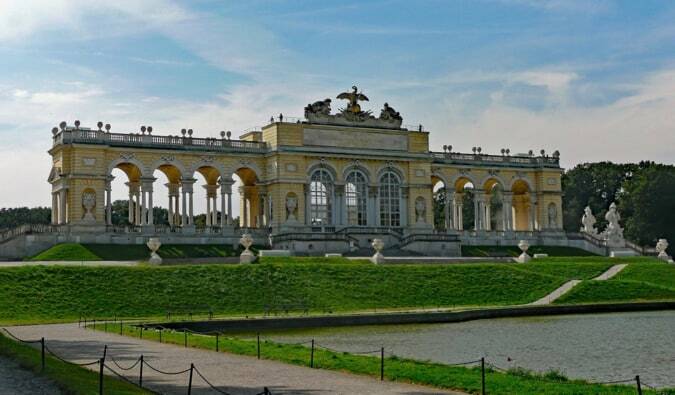 The Belvedere is actually two palaces. The northern palace is home to an incredible art collection with works by Renoir, Monet, and Van Gogh and a large portrait collection (which is my favorite). The southern palace is a rotating exhibit hall. The free grounds feature beautiful fountains, gravel walkways, ponds, statues, plants, and flowers and are prefect for stroll on a nice day. Opening hours: Daily (10am-6pm). Admission is 8-22 EUR, depending on how much you want to explore. (Dorotheergasse 11, +43 1 5350431, www.jmw.at) – For centuries, Vienna was home to a sizable Jewish population. Then the Nazis came. This area of town features two important museums: the Vienna Jewish Museum that details the role Viennese Jews played in the development of city life; and the Medieval Synagogue, which gives a more authentic look at the history of Jewish life in Vienna. There is also the nearby sober Holocaust memorial designed by British artist Rachel Whiteread. Opening hours: Sunday-Thursday (10am-6pm), Friday (10am-2pm). Admission to the museum is 12 EUR for adults, with discounts available. (Burgring 7, +43 1 521770, www.nhm-wien.ac.at) – The Natural History Museum features a huge collection of minerals, precious stones, meteorites, fossils, and even some taxidermy because stuffed animals and all! With over 30 million objects, the museum’s collection is one of the biggest in Europe. The museum is also home to a digital planetarium where you can watch movies about the earth and its development. I highly recommend going (cause space is awesome). Opening hours: Thursday-Monday (9am-6:30pm), Wednesday (9am-9pm). Admission is 10 EUR. (Domgasse 5, +43 1 5121791, www.mozarthausvienna.at) – Though Mozart lived at a handful of different addresses in Vienna, this is the only apartment that has survived. He lived here from 1784-1787, and you’ll learn about his life, family, music, friends, and are able to listen to his work. There’s a variety of paintings, artifacts, letters, and memorabilia from his life here as well. It’s a neat little museum to check out. Opening hours: Daily (10am-7pm). Admission is 11 EUR. (Berggasse 19, +43 1 3191596, www.freud-museum.at) – Sigmund Freud, the famous founder of psychoanalysis, lived in this apartment-turned-museum from 1891 to 1938. The museum was opened in 1971 with the help of Anna Freud (his youngest daughter) and is home to the original furniture and Freud’s private collection of antiques as well as first editions of his works. There are also films from his private life. It’s small and only takes about an hour to visit. Opening hours: Daily (10am-6pm). Admission is 12 EUR. 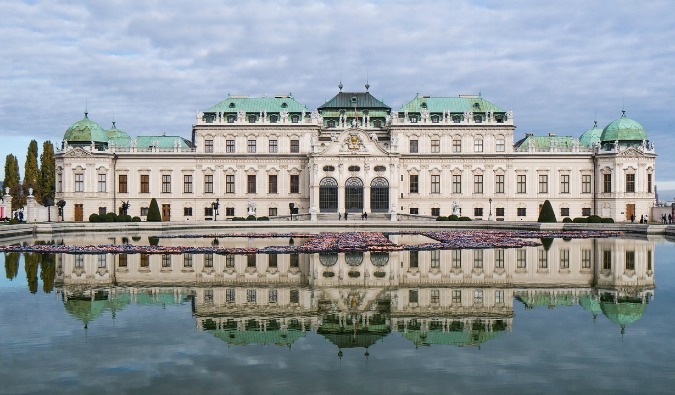 (Albertinaplatz 1, +43 1 53483, www.albertina.at) – The Albertina is one of the best museums in the city (which says a lot because this is a city of museums)! It’s housed in one of the old private residence wings of the Imperial Palace. It’s most famous for its print collection, which is comprised of over one million prints and 60,000 drawings. However, they have a lot of temporary exhibits that rotate through here too, which I found to be the highlight (I saw one on Raphael). Opening hours: Saturday-Tuesday, Thursday (10am-6pm), Wednesday and Friday (10am-9pm). Admission is 13 EUR for adults and free if you’re under 19. 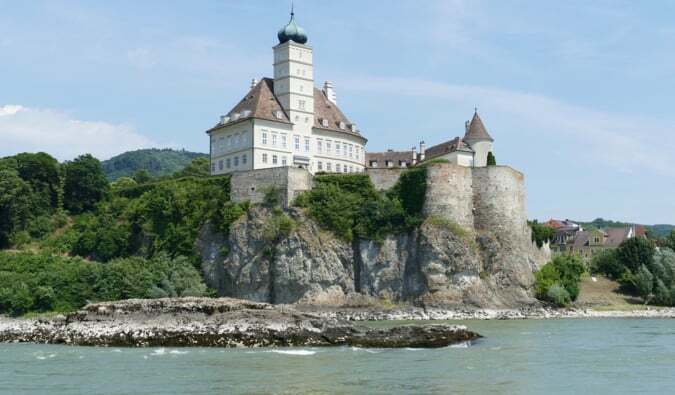 (+ 43 12297334, www.discoverviennatours.com) Once you’ve had your fill of museums and palaces, take a bike tour of the nearby Wachau Valley. 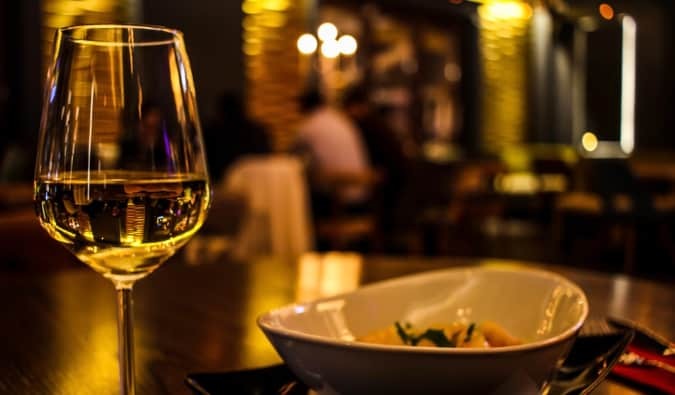 You’ll get to taste some of the best local wine while burning off a few extra calories (to make room for more wine, of course!). It’s a full day excursion (plan to spend 8-10 hours on this) that includes some sightseeing and lunch too. 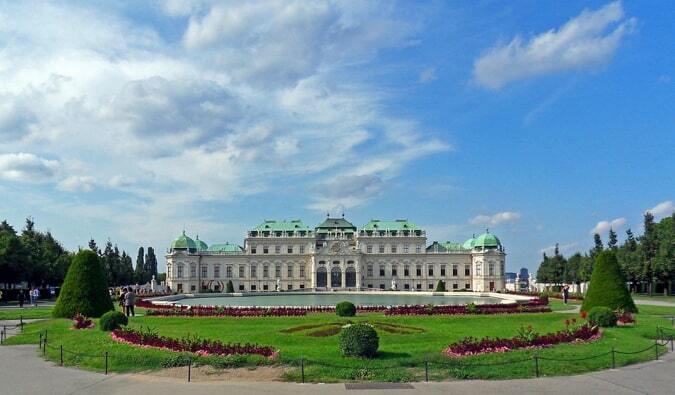 If you’re looking for a tour operator, I suggest Discover Vienna Tours. They are who I use when I run tours to Vienna and people love it. Honestly, it’s the number thing people remember! Tours go between April and October and cost around 74 EUR per person (with discounts available for students). Bratislava makes for a great day trip from Vienna. Located only an hour away, you can easily head there for a day to explore its charming medieval center, several castles, a cathedral, beer halls, restaurants, and paths along the Danube. Bratislava is a relatively small capital so it’s easy to get around on foot. Trains depart regularly from Vienna for as little as 10 EUR, while Flixbus runs a regular bus service with tickets starting around 5 EUR. If you stay in the night, Hostel Blues is my favorite hostel in the city. This beautiful woodland (known as Wienerwald) is located on the outskirts of the city and is filled with a lot of hiking paths. It’s located around 30km from the city, extremely popular with locals (few tourists get out there). If you don’t have a vehicle, you can take public transportation or try the ride-sharing service BlaBlaCar. Figmueller (Wollzeile 5, +43 15126177) – Founded over 110 years ago, the Figlmüller is famous for its schnitzel. Yes, it’s super touristy but the schnitzel is very good and it’s about the size of your face so you’ll have leftovers. Be sure to make reservations! Der Wiener Deewan (Liechtensteinstraße 10, +43 1 9251185) – This pay-what-you-want restaurant cooks Pakistani cuisine with excellent daal, naan bread, and salad. It’s popular among students (the university is nearby). Don’t go in a huge group or you’ll never get a seat. Café Jelinek (Otto-Bauer-Gasse 5, +43 15974113) – This is one of many coffee houses in Vienna. It’s cool, stylish, serves great drinks, and has comfy tables. Japanisches Restaurant NihonBashi (Kärntner 44, +43 18907856) – This is the best sushi restaurant in Vienna. Not only is the food mouth watering but it has an extensive sake menu. Plutzer Bräu (Schrankgasse 2, +43 15261215) – A Westernized bar, this place has delicious Viennese food, along with steaks, burgers, and lots of beer. Café Phil (Gumpendorfer 10, +43 15810489) – This cafe is also a bookstore. It’s very laid back and a great place to people watch. They also have fast wifi, friendly staff, and serve food! L’Osteria Bräunerstraße (Bräunerstraße 11, +43 1512253610) – To die for Italian and pizza joint right downtown with outdoor seatings, friendly staff, and a huge wine list. Restaurant Hidori (Burggasse 89, +43 15233900) – Another solid sushi place that also services some pretty amazing yakitori (grilled skewers). Café Sperl (Gumpendorfer 11, +43 15864158) – This traditional coffeehouse dates back to the 19th century and is home to some delicious pastries. It was featured in Before Sunrise and A Dangerous Method. Vienna has a lot of things to do in see. 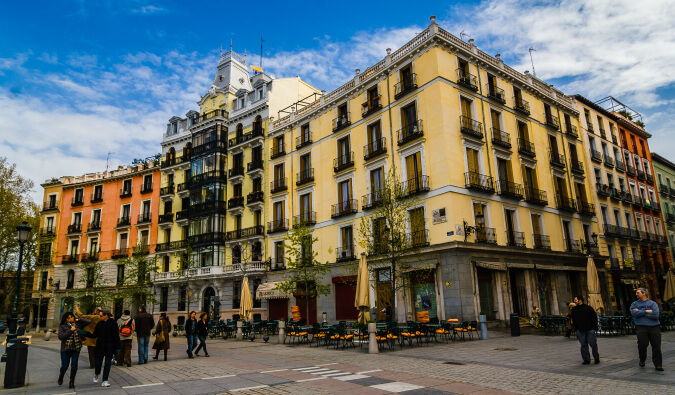 Sure, there’s a lot of museums and, by the time you leave here, you’ll have museum overload but there’s also a lot of great walking tours, excursions outside the city, food markets, places to eat, and cafes to sit around with a good book in! Vienna will never steer you wrong! I live in Prague and have been to Vienna countless times. But somehow I haven’t discovered the quirky feel yet. I love the city, but most of my last visits were just to friends’ who live on the very outskirts and don’t go to the city center very often. I guess I should revisit it and go see all the markets you talk about! Funny you noted that stiffness note Matt 😉 I thought the same thing. But your post and my wife’s visit to Vienna both calmed my nerves and opened me up to this beautiful city. A place needs character for me to visit and enjoy, so I’ll consider a trip to this Austrian gem for sure. Thanks for sharing dude. I lived in Vienna for a year in the early 1990s. Yes, there was veneer of formality, but I found that part of the charm and character of the city. I’ve been back a few times since then and you can still find that old world bearing, but it’s less obvious now. However, the plethora of coffee shops and bars (from dark wooden establishments, to ultra modern cocktail bars) rivals any major city, and there is a genuine café-culture to keep them authentic. Plus the museums and palaces; the surrounding (and easily accessible) vineyards, woods and rivers; centuries of history just oozing out of the streets; and it is a rewarding place to visit. Finally, I would point out that Vienna is a beautiful city – I would say to rival Paris (but opinions will differ over that!). It has retained its elegant and elaborate architecture from previous incarnations and managed to keep these buildings, squares and roads and parks accessible to the public. Although I’ve never eaten there, I’ve heard great things about Figmueller. It’s definitely on my bucket list of must try places. Just thinking about it makes me so ecstatic. Your pics are so gorgeous BTW. A trip to Vienna will happen soon. 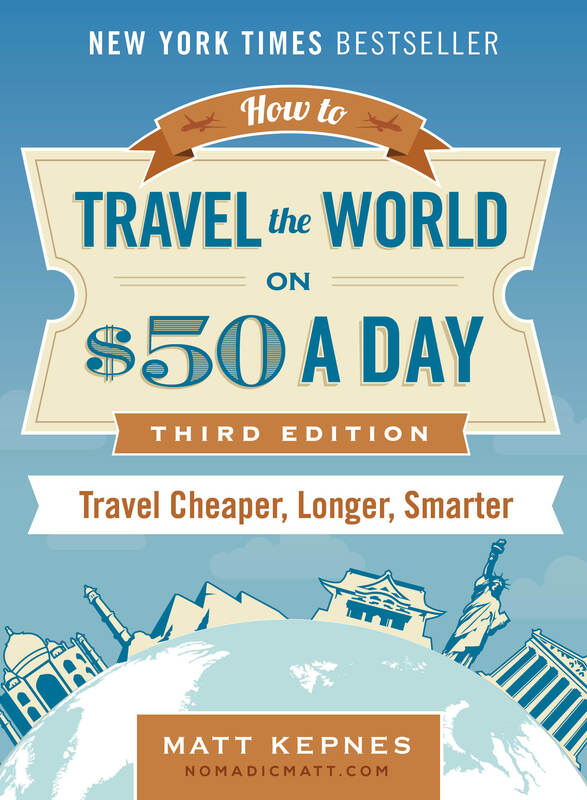 Thank you very much for mentioning my free walking tours in your article! I really like your article about my favorite city in the world! Best regards and greetings from Vienna! Legend has it that the best one in Vienna is Bitzinger, between the Opera and Albertina. But I’m sure every local has their favourite. Try the Curry Wurst. Thanks Matt. I went to Vienna once back in 2009 and really enjoyed myself. I can still taste the gelato and wienerschnitzel. Greetings from Connecticut, USA! We visited Vienna last year as a family and loved the city. The city is criss crossed with bicycle paths that make it easy to get around. We loved the house of music museum. It also makes a great base from which to plan a multi-day cycling trip (tour or independently like we did) along the Danube where you can explore and stay in beautiful small villages while cycling through some of the famous wine regions! I had visited Vienna in 1989 and found it stiff and beyond recall. Then again in 2004 with two aunts….older but still young at heart. We had a terrific holiday, but it still was a little stiff. Visited again last year and found a lovely change in attitude. Just walked around. Ate when hungry and walked some more. Did a River Cruise to Bratislava which was an eyeopener . Loved it. Will be back in Vienna late summer. Will walk thru all those streets again…..yipee! It might just be because I’m a musician, but as weird as it sounds, visiting the city cemetery was my favorite thing we did there (well, tied with the state opera). It’s fascinating to wander around, and has a whole section devoted to graves of famous composers. Falco’s grave is also totally worth searching out! Anytime I hear that a friend is traveling to Vienna, the cemetery is on my list of recommendations. I prefer the Mozart Museum by far. Every time I come back, I always discover some new detail. I haven’t visited Vienna in over 20 years and back then I visited on a Contiki tour so really didn’t get to see much. 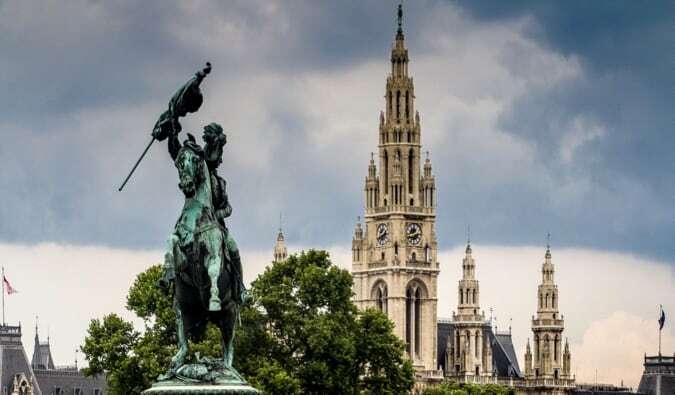 Thanks for such a great article you have sparked my interest in visiting again, I have always been put off by the cost but your article sells Vienna very well and so we have decided to visit at Christmas. I love your list of places to eat, I can’t wait to visit the old coffee houses. Do you have a favourite place in Europe to spend Christmas ?